Bill Kraus is a native of Marshfield and was a long time resident of Stevens Point. He has been the Co-Chair of Common Cause in Wisconsin since 1995 and served on the National Governing Board of National Common Cause from 2004 to 2007. 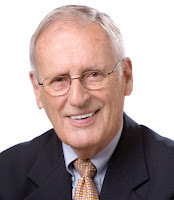 Bill was a long-time Republican strategist in Wisconsin and was instrumental in the election of Governor Warren Knowles in 1964, 1966 and 1968 and in the election of Governor Lee Sherman Dreyfus in 1978. He then served as the Director of Communications for Dreyfus from 1979 to 1983 and then as an executive for the Sentry Insurance Company. Bill's political writings have appeared in many publications and he is a regular commentator on Wisconsin Public Radio and a blogger on CC/WI's blog: WisconsinPoliticalFix.org and other sites. Bill attended Carleton College and is a graduate of the University of Wisconsin-Madison Law School. He lives in Madison and is married to Toni Sikes. The Wisconsin Legislature will apparently call itself into Extraordinary Session this week to consider pending public employee contracts due to expire soon. While they are in session, the State Senate ought to do two other very important things for the citizens of Wisconsin before the end of 2010. 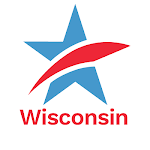 The completion and compilation of the 2010 Census - which counts the number and location of Wisconsin citizens - means that the process of legislative (and Congressional) redistricting will begin in 2011. The current method of redistricting in Wisconsin is among the most partisan and secretive of any such process in the nation and ought to be reformed. The Wisconsin Legislature ought to expand the call of the session for the labor contracts to include passing legislation to establish a non-partisan redistricting process such as the one they have had in Iowa since 1980. It ought to be done now, this year, before Wisconsin's current redistricting process kicks into gear -- behind closed doors and costing Wisconsin taxpayers hundreds of thousands of dollars in legal fees. The Wisconsin Legislature should also pass legislation requiring outside special interest groups who run campaign communications disguised as issue advocacy to disclose their donors. This is something they neglected to pass last April and Common Cause in Wisconsin was the first organization in the state to call for the Legislature to come back in December and get this done. For more on the disclosure measure, read this recent editorial. You can also listen to CC/WI explain the need for disclosure in a recent Wisconsin Public Radio segment. Passing redistricting reform and disclosure now will clear the way for the new Wisconsin Legislature and Governor to work on improving the economy and creating jobs -- their stated priority during the campaign that ended on November 2nd. It will also provide the citizens of Wisconsin with a much needed boost in confidence that their state government is doing something positive for their interests rather than for narrow partisan and deep-pocketed special interests. Common Cause in Wisconsin has been practically a "one-note Johnny" this Fall - pushing for meaningful disclosure of the donors to outside spending groups trying to influence the outcome of elections at the state (and federal) level. In the aftermath of the disastrous U.S. Supreme Court's bitterly divided 5 to 4 Citizens United v. Federal Election Commission decision this past January, disclosure is essential. After last Tuesday -- and the unprecedented amount of money spent on undisclosed campaign communications -- disclosure is even more critical than ever. Whether it will occur legislatively, remains to be seen. Democratic Governor Jim Doyle, Senate Majority Leader Russ Decker (defeated) and Assembly Speaker Mike Sheridan (defeated) all expressed public support for disclosure, but never got together to make it happen -- despite our repeated calls and those of Wisconsin newspaper editorial boards to to so. It is now up to Republican Governor Scott Walker, Senate Majority Leader Scott Fitzgerald and likely Assembly Speaker Jeff Fitzgerald to make it happen in 2011. Will they do it? So far it doesn't seem that disclosure is a priority for them. Not yet, anyway. We may have to insist that they do it. Minnesota did. Surely, Wisconsin can do as much. The Oshkosh Northwestern, in an editorial last Friday, agrees. How will unique factors alter 2010 gubernatorial campaign, election? Who's behind the negative campaign commercials? Heck and Esenberg: What’s Worse, Campaigning or Campaign Reform? 1. "Thanks" to an irresponsible and reckless decision made by a narrow majority of the Wisconsin Supreme Court in August, Wisconsin citizens will never know who is funding the millions of dollars worth of political attack ads from outside special interest groups that are airing almost every minute of the day and night attempting to influence the outcome of state elections. Since the Court's injunction in mid-August, the citizens of Wisconsin have been robbed of needed transparency in our elections. CC/WI strongly supported the GAB rule and has been pushing for transparency and disclosure of the donors of phony issue ads since we first proposed a similar rule and legislation back in 1997. The State Supremes have not acted in either a timely or expeditious manner in deciding this issue. Two and a half months after suspending the GAB disclosure rule, there is still no decision from the Court. They should never have intervened in the first place. The matter had already been decided by the nation's highest court last January. The U.S. Supreme Court ruled 8 to 1 in the Citizens United v. Federal Election Commission that more robust disclosure can and should be required of organizations that seek to influence the outcome of an election -- as the phony issue ads run in Wisconsin clearly do. As a result, Wisconsin has been ground zero in the nation in the number of undisclosed communications made by outside groups in Gubernatorial elections. Wisconsin voters will also have no idea who the donors are behind the hundreds of thousands of dollars of communications being spent on statewide and legislative elections. A Milwaukee television news report earlier this week provides a clear and concise summary of this entire situation and what is at stake. Wisconsin's largest newspaper, the Milwaukee Journal Sentinel editorialized on the secrecy problem on Tuesday. And if Wisconsin is "ground zero" for undisclosed communications by outside special interest groups, then the Fox Valley is ground zero in Wisconsin. 2. This past Monday evening, Common Cause in Wisconsin hosted another in our series of "reform forums" around Wisconsin to talk to and hear from citizens all over the state about the need for political reform. More than 60 citizens gathered in Appleton at Lawrence University to hear opening remarks from Wisconsin State Representatives Dean Kaufert (R-Neenah) and Penny Bernard Schaber (D-Appleton), Andrea Kaminski, executive director of the League of Women Voters of Wisconsin, and Jay Heck, CC/WI's excutive director. The need for disclosure of outside special interest group campaign communications, public financing, redistricting reform, state budget reform and the need to ratchet down the unprecedented partisan rancor in the state were all discussed. Citizens asked many excellent questions and offered insightful opinions. You can see the Wisconsin Eye coverage of the forum here. 3. The Green Bay Packers finally prevailed over the Minnesota Vikings and Brett Farvre last Sunday, to the delight of most Wisconsinites. But when it comes to requiring the disclosure of the donors to outside special interest groups making campaign communications, Minnesota is way ahead of Wisconsin. When the U.S. Supreme Court unleashed the flood of corporate and union treasury money to drown out the voices of citizens in the Citizens United decision last January, the Minnesota Legislature acted swiftly to require disclosure of those entities donating to "front" groups running campaign communications. In Wisconsin, the Legislature adjourned in April without reaching agreement on disclosure legislation. The Minnesota Legislature -- unlike the Vikings and Favre -- got the job done and now have the disclosure law Wisconsin needs. 1. Do you support extending to all other state offices a system of public financing along the lines of the one created for state Supreme Court elections in the 2009 Impartial Justice Act? 2. Who should be responsible for redrawing legislative districts after each census: the Legislature, a nonpartisan legislative service agency or an independent citizen commission? 3. Do you support registration, reporting and advertising disclaimer requirements for corporate election spending? Do you support requiring corporations to notify and get permission from share holders in order to engage in election spending? 1. We need to work to get the money out of politics. Whether it be through the expansion of Impartial Justice, or through other programs it is important for people to have faith in their government. This session the state Assembly, in which I served as the Majority Leader, effectively banned fundraising during the budget, passed the Impartial Justice Act, and worked to find real solutions to giving our constituents faith in their government. 2. Every ten years there is a mad scramble for power in both houses of government, as well as the Governor's Office, to redraw the lines after the US Census. Unfortunately, it breeds further partisanship and only causes the people to have less faith in their government. This process is expensive, and almost always ends up in the courts. Mayor Barrett has put forth a plan to change how redistricting is done. Indeed, we need a transparent process that ensures that the Voting Rights Act is followed, as well as a process that yields real competitive districts. Then, last week, both candidates did address the question of redistricting reform in interviews with DoorCountyDailyNews.Com in which Democrat Tom Nelson reiterated his support for reform while Republican Rebecca Kleefisch said she supports the current, corrupt status quo. 1. I do support a system of public financing for elections and I am taking the public financing grant available to my campaign. 2. I favor a nonpartisan legislative service agency or an independent citizen commission to redraw legislative districts. Partisanship needs to be as far removed from redistricting as possible. 3. Yes I do support registration, reporting and advertising disclaimer requirements for corporate election spending in order to bring integrity and transparency to the election process. I support shareholder involvement in political spending decisions by a corporation. 2. The 2010 election in Wisconsin may be as pivotal with regard to the future of political reform as was the 1910 election. Read the Common Cause in Wisconsin Executive Director's essay about the two elections, which was the featured opinion-editorial in this past Sunday's Wisconsin State Journal. 3. Common Cause in Wisconsin takes its message about the need for political reform all over the state. Later this month we will be in Appleton at one of our frequent "reform forums." Last week, the CC/WI executive director was a participant in a debate about campaign finance reform and disclosure in Wisconsin at the Marquette University Law School. The debate was moderated by Mike Gousha, a fellow at the law school and host of the statewide public affairs television program "Up Front." Opposing reform was Marquette law professor and conservative blogger, Rick Esenberg. For a recap of the debate, read: Heck and Esenberg: What’s Worse, Campaigning or Campaign Reform? To see the video and/or to listen to the debate, go here. 1. Public financing of campaigns can help make sure everyone has an opportunity to seek public office, and greater inclusion makes for a stronger democratic process. While I support the current public financing of Supreme Court elections, I don’t believe it can be extended to all partisan offices, and there is role for private contributions in campaigns. 2. I have offered a detailed proposal to have the Government Accountability Board ensure that redistricting plans put forth by the legislature produce as many competitive seats as possible in accordance with federal law. This proposal can be implemented for the 2010 redistricting process, removing partisan politics from the process right away. Authorizing a new independent commission would require a change to our constitution and therefore could not be in effect for the upcoming redistricting. 3. Disclosure of campaign contributions is necessary to provide voters complete information on the candidates they are choosing from, and who is behind the messages they are seeing. Voters deserve responses from Scott Walker to these questions so that they will have the information they need to make an informed choice for Governor. Both Walker and Barrett need to hear from citizens that these questions do matter because citizens know that without political reform in Wisconsin there is little chance that the very real problems confronting Wisconsinites will be addressed. Without reform, the corrupt status quo will prevail. Confront both Barrett and Walker when they come to your community and ask them for answers to the three political reform questions. Call or e-mail their campaigns and ask them the questions. 2. The 2010 election is critical in determining in what direction Wisconsin will head on many vital issues. Political reform is no exception. One hundred years ago Wisconsinites faced another such election. Then, as now, the question was go forward or turn back? CC/WI's executive director looks back at the candidates and issues in the 1910 election for Governor (and the 1911 legislative session that followed). Are there parallels and lessons for us in 2010? Read: In 2010 as in 1910 -- Reform is on the Line in Wisconsin in CC/WI's blog, A Wisconsin Political Fix.